What is Flower Essence Healing? The nature of the wild flowers is to heal the blocks in our mind that often prevent us from going forward on our path in life. One of the many wonderful things about the wildflowers is they work from the physical level and then filter back to the mind or thought form that caused the block, and then in reverse – from the mind filtering down to the physical body. When working with the flower essence techniques they help to break down the brick wall which is made up of a set of mind patterns that have developed over time and the accompanying emotions that are continually being repeated in our lives. Every experience we have lived through has left impressions on us therefore if it’s been something traumatic or painful we have built our own thought form around this to protect ourselves a “survival” concept so as to try and avoid the pain or trauma next time. For example if we have been hurt in a relationship by being close to that person, in our next relationship we just don’t get close – that is our survival concept and this then becomes a pattern for us in our daily lives. As we free ourselves and our mind and body of these bondages, we are then able to access the healing within, breaking free of the limitations and then open to exploring our spiritual self and our connection to the Universe and Nature itself. Amanda would love to share with you how you can work with flower essences to assist your healing journey. A session may consist of topical application of Living Essences with creams and sprays or the auricular (ear) points. 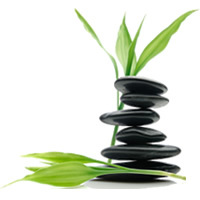 The key area’s we will look at are Stress, Pain and Energy and sometimes grounding or centering yourself. Another way of working more deeply is using a variety of different tools to access more of the subconscious thought forms. You will be guided to look through the 88 flower cards to determine what remedies your conscious and subconscious mind need to help balance out the issue that you are working on! You will then be asked to lie, fully clothed, on the massage table. Amanda will place one remedy at a time on the Baihui point (the crown chakra) to determine how your energy field responds. Through this process a healing takes place and your personalised remedy is created! You would then use the remedy over the course of the next month. What clients are saying about this treatment? I first visited Amanda’s clinic to get help with stress management caused by my workplace. I was working 12 hr days 6 days a week and still not being able to meet the workload expectations. Amanda recommended the esoteric acupuncture to work at a higher energy level in conjunction with her wonderful flower essences to balance my chakra’s and clear some blockages I had unknowingly put in place. Each time she tested me, I could relate to the chakra that was unbalanced and understood why I felt like I did. I believe this was the reason I was able to stay in my career position as long as I did until something better came along. Each time I visited Amanda, I would be a mess of emotions especially anger, either directed at myself or people in my team whom I perceived were not pulling their weight. Each time after a treatment and good nights sleep, I would be able to see things rationally and balanced again, change my approach in dealing with people, resulting in people in my team achieving more at work. During this process I visualized my perfect job and toward the end of the year was able to resign from this position and walk into my dream job. However once I finished my last job, I was so fatigued and lacked energy that I was worried I had a major health issue as I could only function for 2hrs and then have to have a nap for one.Back to Amanda again to see if she could work her magic. This time Amanda took the treatment to a higher level and prescribed some flower essences. The day after the treatment I felt so much more relaxed and energized and three days post treatment, I have not needed any naps! I feel great and have been able to relax and recharge ready for my next adventure. Thank you for an amazing consultation, Amanda. This was my first visit and I didn’t quite know what to expect. Suffering from extreme anxiety, I was willing to give anything a go to ease that all-consuming, debilitating feeling. Flower essences was a treatment I knew little about, but thanks to your guidance and reassurance, I felt very comfortable in partaking in the treatment which I found most enlightening indeed. I have been taking the flower essences drops you formulated especially for me and I believe I am far less anxious than when I first saw you. Who does the Flower Essence Healing?